Replies to recent questions about the Goldlist Method. Today I’ll be answering to great letters with questions in. I haven’t been able to answer all questions sent in, but these were both very good questions and admittedly in these cases you wouldn’t get to the answers from things I’ve said before now, which shows that both these guys have been paying attention, and they’ve given me a chance to add something new today that Goldlist Method users won’t necessarily have seen before and will be of potential use to quite a lot of people. If you agree, please be sure and give your 5 stars. The following great comment appeared today from user Mistervilleneuve, who identifies himself as Jonathan, and I am motivated to answer it immediately, even though I’m painfully aware that another person also has asked for an answer – and has been waiting for ages. Hopefully I’ll do them both in this article, and my apologies to the second, who has had to have so much patience. I teach English as a second language in the schools of the province of Quebec, Canada and I am also a passionate of languages. My first language is Quebecois French. I taught myself German and Russian to intermediate level and have plans to learn more. I try to make my students as autonomous as possible, for instance instead of giving them words to learn I suggest them to write down new words they encounter on sticky yellow notes (Post-Its) and put them in view on their desk, and remove them only when they feel they know them by heart. I know that recopying words can have virtues if done right and I had a breakthrough in my mind when I discovered your Gold List videos on YOUTUBE. Your method is quite frankly the missing link I had been looking for for a long time. It ties together and gives the structure I needed to many ideas I already had about language learning. In fact, the GoldList method will now be integrated in my teaching. I would like to better understand how exactly the self-testing should be done. I find that I am able to understand the words I want to learn (L2 to L1) but I have more difficulty to translate from my mother tongue to the language I want to learn (L1 to L2). This “one-way translation ability” has puzzled and eluded my problem-solving skills for a long time. My students also tell me that although they can understand English, when it comes the time to “produce”, they have trouble to find their words. They know they know them, but can’t recall them. And I am not any better, I can translate over a thousand Russian words, but give me the list in French or English and I am shamely not able to translate them all back in Russian. Also, I have begun to learn Hungarian and I am developping a multiple-language learning method I like to call “Stepstones”. In essence, it is about using L2 to learn L3, then L3 to learn L4, etc. addition to everything else I use, I have a Gold List notebook of 360 pages, divided in 3 sections. The first section is the lists English–>Russian. The second section, the lists Russian–>German. The third section, the lists German–>Hungarian. I would be glad to have your educated opinion on learning more than one language at once. That being said, if by definition, a good method gives results and a better method gives the same results with less time and energy spent, I think you will not disapprove that I adapt your method to my own purposes. I look foward to read your response, here or through email. I’m delighted to see this reaction from someone who lives by language teaching to the Goldlist system. I have found that the number of language teachers among the small minority who don’t like the Method is quite high, and in a sense that is not surprising, as the method puts the student back in charge and not the teacher, in fact it reduces the role of teacher to coach. That is not a bad thing, we still need coaches, and sports people who achieve a lot in their fields do so because their coaches motivate them to keep going themselves, they don’t run the race for the runner. The runner doesn’t take a piggyback on the coach to get around the track, or if he did he would never become a top class athlete, but the way some language teachers conduct their lessons you will see quite the opposite. I was reading James Heisig‘s introductions to his Remembering the Kanji books today. Not only are the Remembering the kanji books absolutely first rate as language tools (although I have done a friendly micky take in my article “Professor Huliganov’s Remembering the Romaji”, that doesn’t mean I don’t rate Heisig because I do) but also he is clearly another teacher who wants to put the student in the driving seat. And so are you, as is clear from your letters. 3. They undertake to enable the maximum independence to students, less teaching them the given language than teaching them to teach themselves language. 4. The qualification will be earned when twelve students of the teacher are willing to give a reference stating that the teacher taught them the method. 5. I will announce where the register will be kept, but it will enable the people who have qualified to be GoldList Method Accredited. At the moment this is just an idea. I just think it will help along those language teachers who do the honorable thing by their students the way you do. I won’t be making any money from the initiative, but it will be a way of furthering what I think is best practice among language teachers. Now to your very understandable question about self testing, and when to consider a word as “learned”. 1. When you see the word in the target language, you know its meaning(s) – (as in all the meanings you are supposed to have learned so far, if there is a number of meanings – don’t worry if your study order doesn’t try and foresee all the possible meanings of a word – that’s not necessary and will only happen for those who are studying from a dictionary as a source, which in itself has positive and negative sides). 4. You know all the unusual grammar exceptions applying just to that word, at least those covered in your study approach so far. So if you have, for instance, done English strong verbs as a general grammatical idea, you won’t consider “to tread” as learned until you can say “tread, trod, trodden” – but “to step” is learned as soon as you can say to yourself ‘that’s a weak verb’ when you use it. If you know the word well enough to pass these 4 criteria, then you should be happy to distil it out. In any event, you can always make two passes, firstly covering the target language side (that’s usually the left side) and see if you can get to the word from your learning language (I use that terminology as often it is good to use as the learning language for Goldlist another language than your own, it can serve as a great checklist for that language which was studied earlier. For instance, I use German – the Langenscheidt Czech-German pocket dictionary to be precise – for Czech, and this has become a great “Czech list” if you’ll pardon the pun, for the occasional German word which it turns out I still don’t know even after having achieved quite some fluency in German, and oll of this is pretty much like your “stepping stones” approach, which is excellent, especially if you need to learn languages that are related to each other) and then if the first pass doesn’t already render enough words for the distillation the second pass can be from target language to learning language, using the above criteria. (It’s a good idea to have them in mind for the first pass too, by the way) and then as a final option if passes one and two don’t give you enough to distil, you can combine woords in a number of ways. Some combination techniques will be included in the forthcoming book, but one thing I’ll give here as a plural is combining words to make fictional titles for notional novels, poems or other art works. Between these two approaches you should be able to get to the point where the next distillation is going to be something like 60-75% of the preceding list. It doesn’t need to be exact and the less one distils on a given distillation, often it is easier to distil a larger proportion on the next distillation. When I’m doing big projects on Goldlist Method, I usually plan the distillation and leave my “lumberjack marks” as it were, on the words to be left out or combined a few days before – or sometimes even weeks before – I actually come to do it. This gives an extra memory run. I wouldn’t even do the lumberjack marking run though until at least two weeks have elapsed since I made the list I’m working on. That’s the key secret of the goldlist, leaving that two weeks clearance each time so as not to be led astray by the flatterings of the short-term memory. 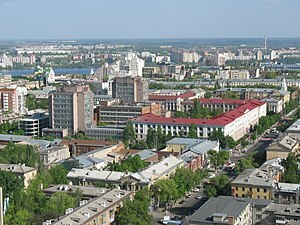 On the other matter you mentioned, I certainly agree about Voronezh. I fell in love there but it didn’t do me a whole lot of good. The activities of the then Soviet authorities didn’t help. If you’ve read my account at the end of the Polyglot Project by Claude Cartaginese, you’ll know something about that. You can find it in the boxfile on my LinkedIn profile. I was reading in the Polyglot project your whole crazy testimony, that is one crazy life. I am really blessed to know God got a hold of your life. Anyways to the question, how do you suggest one memorize music for longterm usage? Musicians tend to forget music quite easily after a few months etc, I’m just curious to see how you would do it. Here’s another, when gold listing, is it ok to use a language you are intermediate in to learn another one? I am conversant in French and I am learning Spanish, is it alright to be defining Spanish words with French definitions you don’t know, to kill two birds with one stone so to speak? I think that might’ve been a problem. One more question, how do you feel about how churches memorize songs? You know how at church we just sing them from top to bottom and then it just comes out, but when we do that, these songs tend to lose the meaning in the words they hold (at least for me), how do you suggest we memorize songs, not to mention Bible verses. Should we goldlist Bible verses, because the word of God is something quite important no? If we gold list how much should we goldlist, 25 words? Someone told me instead of reading out all the words, why not shorten the verses so that you write only the first letter of each, (which really works but for short term I’m afraid). Sorry for making this a bit long, I’m just really curious to see your perspective on all this, and I hope that you’ll answer this on your next blog post. When we talk about the long-term memory of music, Brother, I think that in the main we remember the way tunes go. If we become very proficient at our instruments, we should be able to play from memory as we can sing from memory. In the main most people haven’t got such big problems singing songs from the long-term memory as they do when playing on a guitar or keyboard. If you are really in command of your instrument and of musical theory that should be the best way of ensuring that long-term memory works, and then the other thing would be to play them a little and often, for pleasure and not to try to learn them or cram them up for a concert. You will always need a bit of last minute practice just to “activate” to concert level, but as with language three days should be optimal for that, if you knew the piece well before. Expecting always to be able to play without errors at the drop of a hat is a wrong expectation like being able to spark off fluently in a language someone hasn’t spoken for months. The long term memory is great as so many things fit in it, it seems fit to last us for a thousand years of memories, not just a hundred, but we have to accept that it’s neither natural nor necessary for everything in their to be active at once. The three day rule is part of the God given design of our minds, to activate something, to effectively bring about a change in our state of mind. It also reflects the way our Lord was three days as Jonah in the belly of the great fish. Our bodies are full of natural reminders of Biblical truths. Your second question I think I answered above when talking to Jonathan – it’s a very good thing to use one language to learn another, and if the new language is related closely to a language you learned before then it’s more than a good thing, it is the best way to avoid interference and the deleterious effect of the new language on the old, as it will highlight for you careful attention the differences between the languages. You can use internet bookstores to get any number of books that speakers of your older studied language would use to learn the new one. Now onto the use of Goldlist for spiritual purposes. I would contend that Churches, in simply singing the songs or hymns on a regular basis as well as in NOT trying to force people to learn them, but by rehearsing them out on a regular basis in a stress free way, actually give people the best chance of long-term memorizing them. If people want to learn a favoured hymn they can use the Goldlist method to good effect – indeed they could to learn a secular poem if they wanted to, but personally I’d advise any minister against imposing either the method or a tempo for it from the pulpit. If ever the day came where I learned that someone was imposing goldlist on someone else as a religious service, I would be deeply saddened by it. When trying to learn any favorite hymn, you’ll find that most verses you know, it is a question of remembering the least favorite verses and also the seques to new ideas. In a rhyming couplet, I wouldn’t have to say too many syllables of a known hymn before someone who had sung it on numerous occasions could finish the couplet, but he or she might then have difficulty remembeing the bit that comes next. The above also applies to Scripture. Memorising scripture gives the Christian a source of great strength and guidance, especially in the fight against sin. David says “Thy Word have I hid in mine heart, that I might not sin against Thee”, and Dwight L. Moody said “either the Bible will keep me from my sin or my sin will keep me from the Bible”. The problem is really to decide which places to start. I personally don’t like to prefer any part of the Bible above another as God can use even the geneologies and the Levitical laws to speak to people’s hearts, and there is nothing that is not relevant to study, even things which we no longer strive to adhere to in the Age of Grace. Writing out a thousand page book into the goldlist method and distilling it would be a very long process – far longer than learning languages, and there may well be easier ways to learn Scripture. You could record yourself reading it – maybe put up on YT to help others to, and then listen to it back. Or listen to someone else reading it, but on a regular basis. I’d be inclined to use Goldlist for the memorising of passages you especially want to know well, like the “Romans Road” verses for evangelism, some key psalms, or some of the more rich passages of where Christ is speaking such as the Sermon on the Mount, the High Priestly Prayer in John 17, or some of the beautiful doxology and sermons and passages from the letters of Paul, the peon to faith in Hebrews, the hard parts of Daniel, Ezekiel and Revelation that repay the most meticulous study. I would also suggest it for any parts where God has blessed you and you decided to memorise the passage but find it elusive. You can also use it for study around the Bible, to learn names of protagonists, places, and the dates that things happened. Don’t make a work out of it, though. It’s purpose should be to actually put LESS work into the memorising of things you were wanting to memorise anyway. And may God add His blessing to your study of His Word. Incidentally, August 2011 starts tomorrow and I am going to make that a Blitz Month – with record numbers of postings – mainly of the older YouTube material that I was planning to have up here by now but time was not available. I hope that subscribers with enjoy this “Summer Special” – each of the films will be commented with a bit of extra information I didn’t put onto YouTube, as well as feature some of the most interesting comments received from viewers so far.